The camping site is located in Piano Porlezza, between Lake Como and Lake Lugano. It is on the shore of a small lake with a picnic and recreation area dedicated to the exclusive use of our guests. The camping lots are on both the upper and lower areas, some are shadier and some sunnier, depending on your prefernce. The site is in the nature reserve of Lake Piano which was set up in 1983. The site covers an area of about 20,000 square meters. It is divided into 3 areas: an area for hospitality, another directly on the lake (not for use of ACSI CARD holders) and a free area. The direct access to the beach allows our guests to make the most out of their stay, in harmony with nature. Here it is possible to admire the beautiful landscape while relaxing in the calm atmosphere of this wonderful place. The gates are open from 8:30 to 21:00. 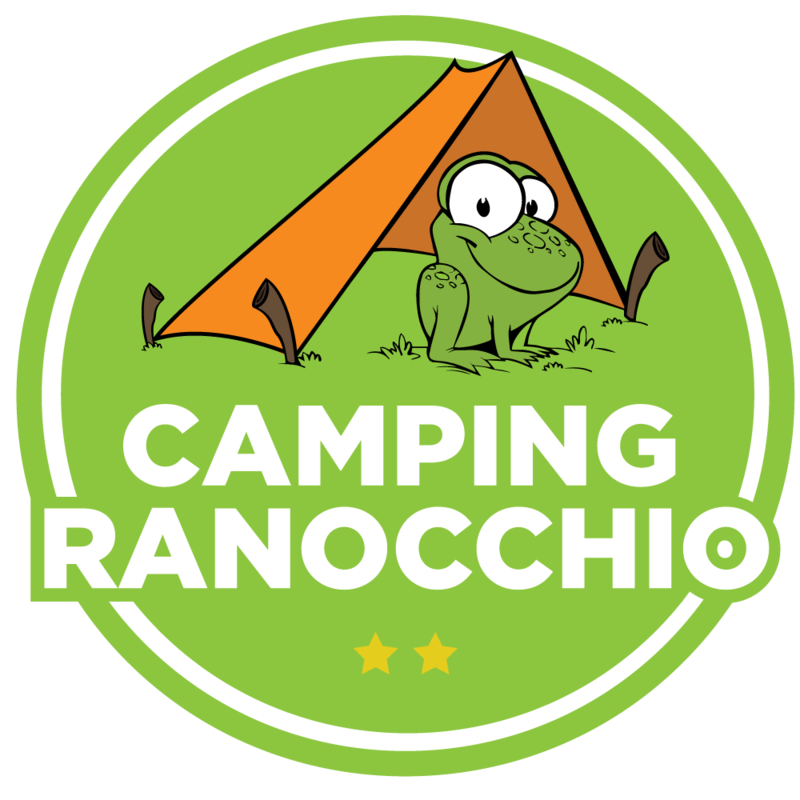 Access is granted only to guests of Ranocchio Camping site. Fishing is free for children up to 12 years of age. Adults and young +13 must obtain a permit from the pertinent authority, and can be obteined by visiting this link. Guests must register before they enter the site. Upon registration, identification must be provided for all family members as well as for any visitors the guests may invite. Upon departure, guests should, pay all bills the evening before, if possible, and vacate the lot completely by 11.00 a.m. on the day of departure (High Season). For those who wish to stay only one night, please pay upon registration. If guests vacate after 11.00 a.m., they will be charged for the entire day. It is also compulsory to announce all domestic animals upon arrival. We remind all dogs owners that they must respect the laws in force. These can be viewed in the regulations listed below. The swimming pool is open daily from 10.00 to 19.00. Its use is strictly reserved for guests of Ranocchio camping site. Trespassers will be reported to the authorities. The swimming pool is 200 square meters with a depth of approximately 130 cm. The children’s pool is approximately 60 cm deep. The use of the pool is free to guests. For safety purposes, the use of rubber mattresses or dinghies of any type is not allowed in the pool. Any dangerous behaviour is strictly prohibited. No diving is permitted.